Eternal youth. That seems to be what so many beautiful people seem to be searching for. The ability to look unaffected by the passage of time. Wrinkle free faces. The body of a 60 year old that looks like a svelte twenty year old. You see that quite often in Hollywood. 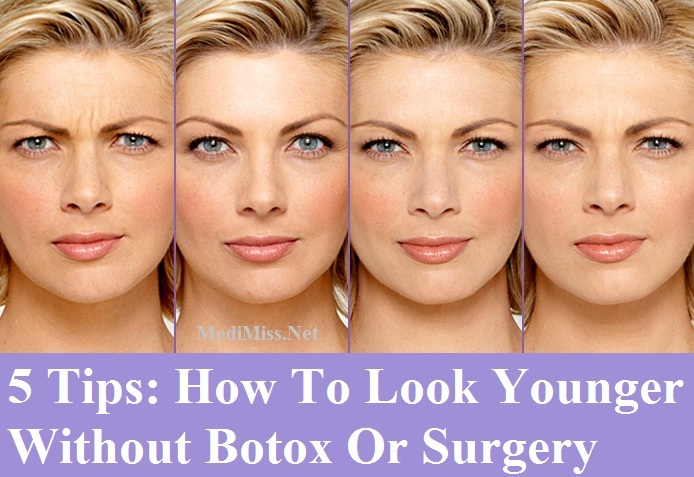 First, there was plastic surgery Now there is botox. Where a toxin is injected into your face to paralyze your facial muscles, to erase the lines on your face. Scary isn't it? Then again, if you were gorgeous in your youth, if your face were your fortune, wouldn't you do everything possible to preserve your youthful appearance for as long as possible. Time is relentless. You get older every year. Your face and your body will age. But you can age beautifully. If you keep fit, exercise and watch your diet, your body can still be svelte late in life. It would get harder with time, but with enough discipline and effort, you can still keep your figure. It is harder when it comes to your skin. Sure, there is botox and plastic surgery. An alternative you can turn to when nothing else works. Until then, there are less invasive, needle free means to erase wrinkles, or at very least to appear younger than you really are. Have you ever tried clinical microdermabrasion. It is like a facial where the doctor blasts tiny crystals onto your face, to smooth your skin. You have to go for a few treatments but it is effective. Lines diminish. Even acne prone skin improves with this treatment. Best of all, the treatment does not burn your skin with acid and you don't look like an escapee from a horror movie during recovery time. These days, you can even do that at home. There are even do it yourself microdermabrasion kits you can use in the comfort of your own home. Other than physically erasing the lines on your face, you can appear younger if you dress, and act younger. An exuberant woman, full of life looks years younger than she actually is. Look at Diane Keaton, born in January 5, 1946 which makes her almost 60 years old. She certainly doesn't look her age. That brings us to the next few tips. Rather than stick to a conservative hairstyle, go for a younger, more carefree look. You'll look years younger that way. It can be as simple as a change from a conservative side part to a younger, carefree center part. Or you can visit your hairdresser for a younger makeover. A young vibe makes you appear younger. A young fragrance makes you seem much younger than you really are. In a study, women who wore scents with pink grapefruit notes appeared, on average, 6 years younger than their actual age according to the men who were surveyed. Finally, the lighting you appear in can make you look older or younger than you really are. 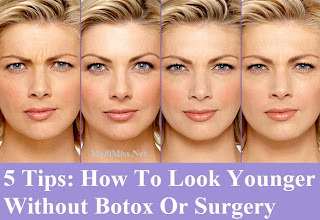 In harsh bright, unflattering light, you could look years younger. In soft, gentle, flattering light, you look younger. Everyone looks better by candle light. Installing light dimmers, on every light in your home allows you to look younger at home. When all else fails, cheat. Use a makeup primer after your moisturizer to fill in all the lines on your face. Then apply makeup in a color that matches your skin tone exactly, over the primer for that flawless look. You might want to mix 2 makeup colors together for that ideal shade. Here are some makeup tips for older women.